You like military history ? 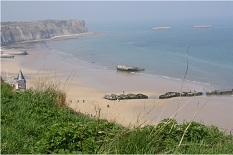 We organize your battlefield Guided Tour in France, with the best guides and specialists. For every enthusiast of battlefield Guided Tours, France is the country to visit ! You are accompanied by an independent local professional guide and specialist, who makes battlefield sites come back to life especially for you. We work with dozens of guides, and we select your private guide based on his or her passion for military history and regional knowledge. Depending on your requests and destination, from offbeat locations to the most renowned battlefields, we organize your perfect trip: tell us where you go and what you are interested in, and we design your Guided Tour. We complete your Guided Tour with recommendations for the best restaurants, hotels and exhibitions in order to provide a unique experience. Contact us so we can start working on your customized battlefield Guided Tour in France: info@battlefields-tours.com.